Learn more about the new skins, missions, emotes, capsules, and game mode coming to Snowdown 2017, which runs from 12/12/17 – 1/8/18. We all should watch out for whatever arises! 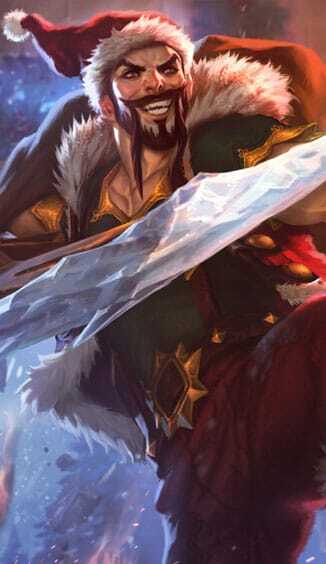 Draven’s arrived; you’re welcome—no crying! With her jinglebell hammer smashing all through the ice! 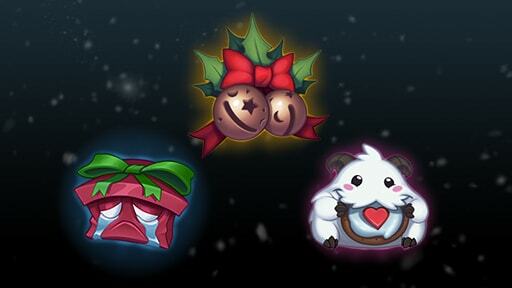 Earn event-exclusive rewards including emotes, limited-time poro skins, and more. Choose wisely: Once you complete the “Be Naughty” or “Be Nice” mission, the other path and its rewards disappear. 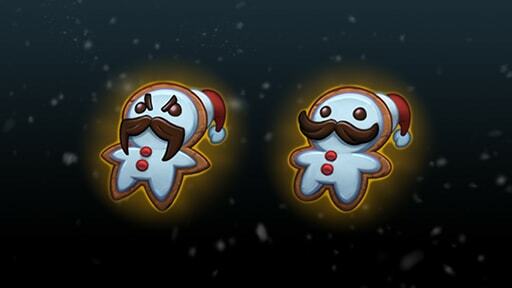 You’ll earn the Dravenbread emote for completing the Naughty missions and Braumbread emote for the Nice ones. Only matchmade games count for missions. 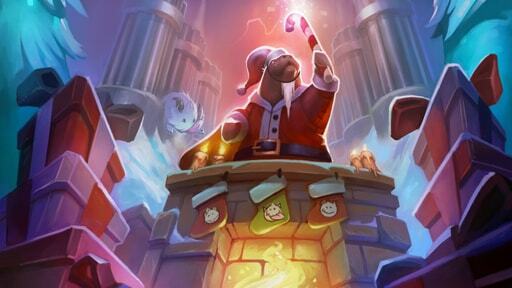 For a limited time, spend 1,000 Blue Essence to gift your friends the Santa Baron 2017 Icon. This special icon is not available for self-purchase. 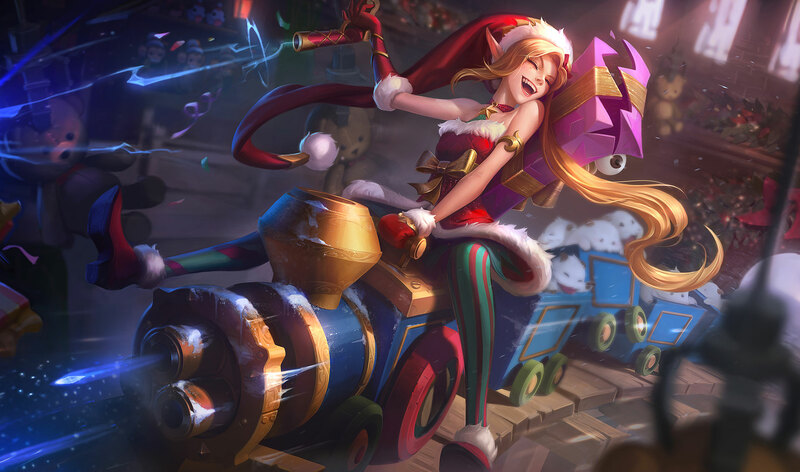 You can also gift yourself a mystery champion or skin with Self-Mystery Gifting, available until 1/8/18. 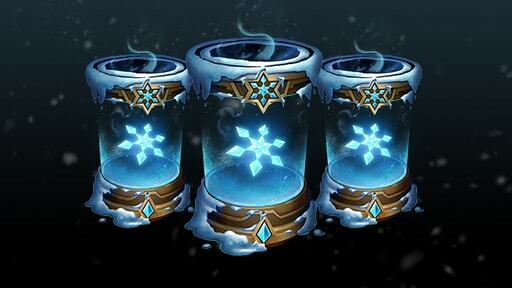 Stock up on Snowdown Capsules for a limited time. Inside you’ll find two or more random skin shards, a guaranteed Epic+ skin shard, bonus Orange Essence, and an increased chance for bonus skin shards and/or a gemstone. Grab new emotes and flash them all year! 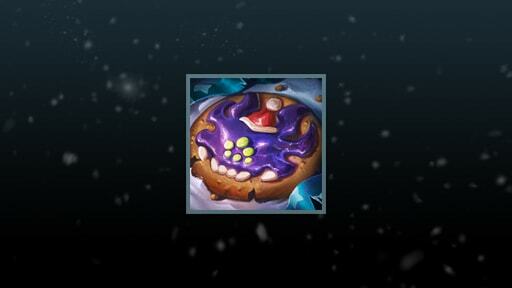 If you already own the Re-Gifted Amumu, Snowbells, or Poro Snax Lover icons, their corresponding emotes will automatically appear in your collection. Missed out on these hard-earned emotes last year? You can grab them for a limited time with gemstones. 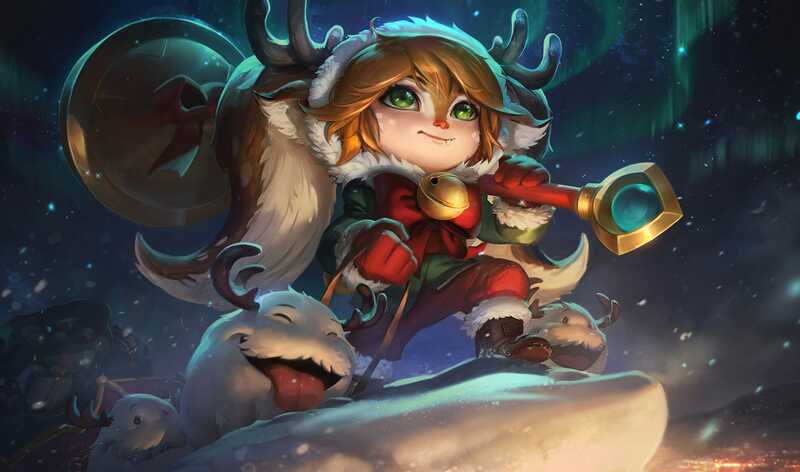 In between Legend of the Poro King (12/12/17 – 12/19/17, 1/2/18 – 1/8/18), Snow Battle ARURF blasts into action! 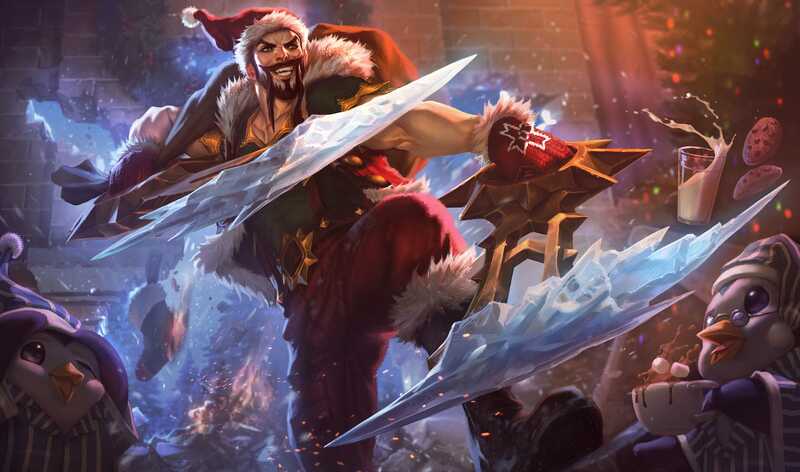 Fling spells and snowballs in this icy twist on ARURF, featuring League's coolest champions. Poro icons and their corresponding skins return for both game modes, so be sure to pick up your favorites before 1/8/18. 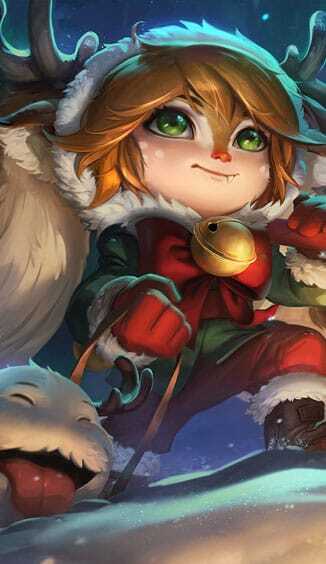 All Snowdown and winter-themed skins free to play in this game mode.